Banshee RDA by Boru Vape is a dual coil rebuildable atomizer with an easy stepped dual post gold-plated deck. Massive bottom airflow will provide you with intense flavor and huge clouds. 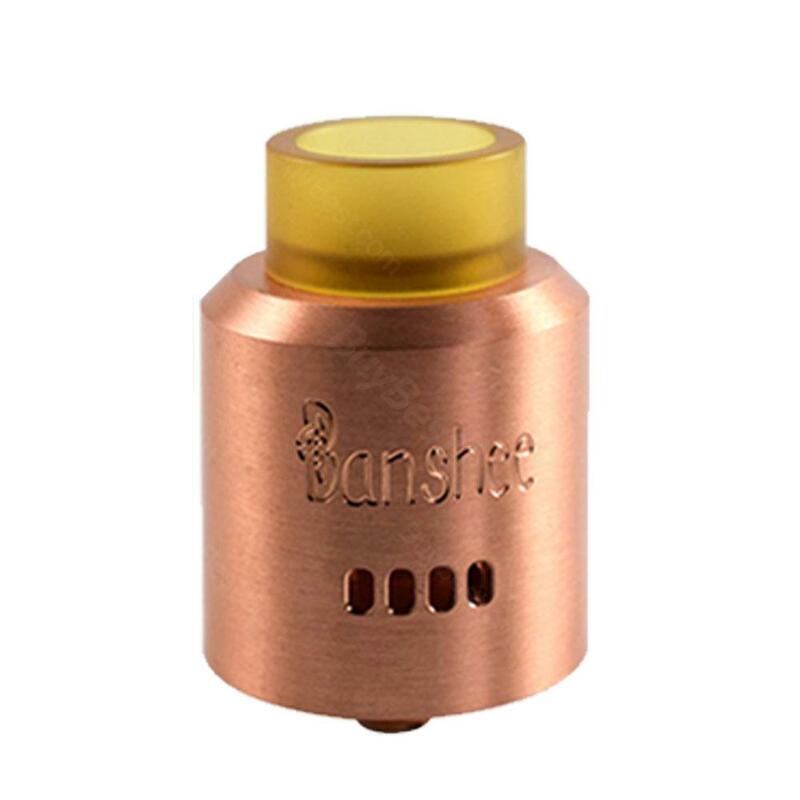 The Banshee RDA is a dual coil rebuildable atomizer made by well-known UK manufacturer Boru Vape. It is 24mm in diameter and adopts dual post stepped gold plated deck for convenient installation of the coils. The deck has enough space to use large coils. The massive holes of the bottom airflow are directed right to the coil bottom side, which is the best way to get an intense flavor together with huge vapor production. Banshee RDA has a deep juice well, and BF pin is included to use RDA on a squonker mods. According to your preferences you can use the 810 drip tip which is on the Banshee RDA, or change it to 510 drip tip by using adapter piece. Atomizer comes in 5 beautiful colors. Boru Vape Banshee RDA Atomizer is a very cheap and simple starter device, I don't like sub ohm since I tried RDA. This is one of my favorites. Nice online store, would shop again. Boru Vape ist sehr klasse. Sehr schnelle Lieferung und soweit alles super, leicht zu bedienen und fruchtiger Geschmack ich möchte sie nicht mehr missen.